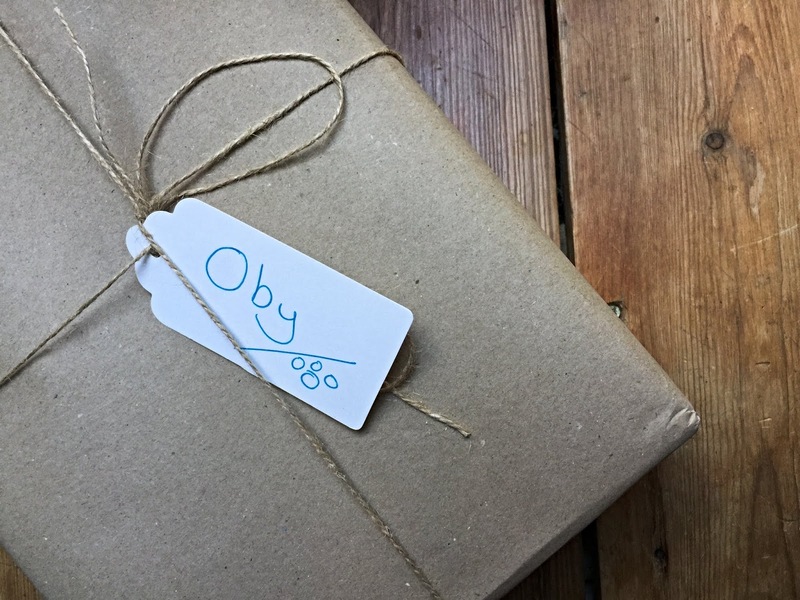 Blogger mail usually has my name on it, sometimes Arthur's but last week a brown paper wrapped parcel arrived for our lovely dog, Oby. 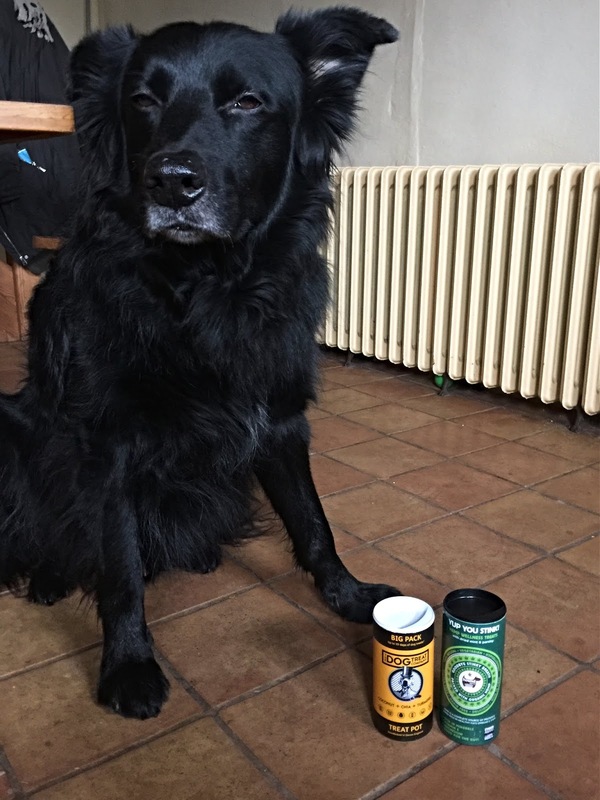 The Pawfection Pack had kindly sent over their January Treat Box and I don't know who was more excited, Arthur or the dog! 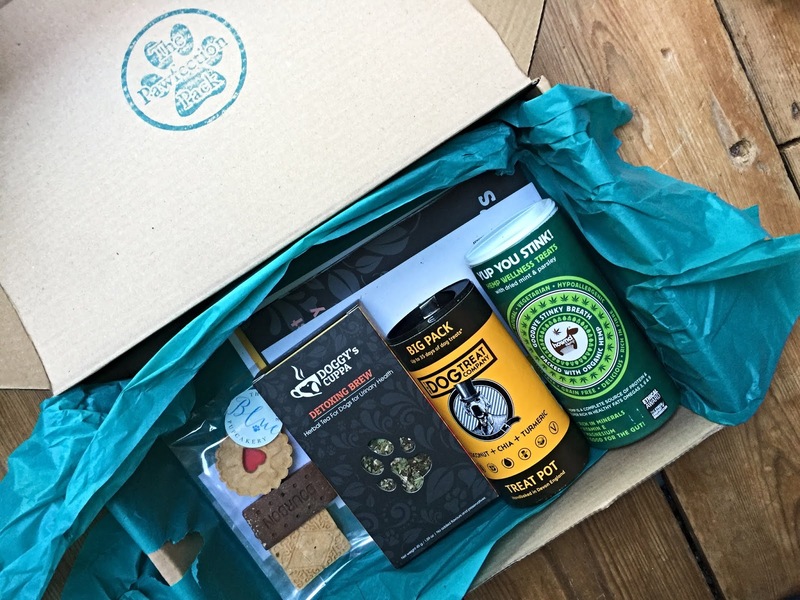 The January Treat Box contained four full size products including a Doggy's Cuppa Detoxing Brew, Coconut, Chia & Turmeric Treats from The Dog Treat Company, a Trio of Biscuits from The Little Blue Pupcakery and Yup You Stink Hemp Treats from HOWND. Can you guess what grabbed our attention? The Little Blue Pupcakery treats of course! The dainty Bourbon, Custard Cream and Jammy Dodger homemade dog biscuits could have easily been mistaken for the real deal. They're all made with low fat, human grade ingredients that are free from artificial colourings and additives. The biccies are such a cute idea for dog presents and I'm pleased to report Oby loved every single one! Oby's also been enjoying the treat pots from both The Dog Treat Company and HOWND. 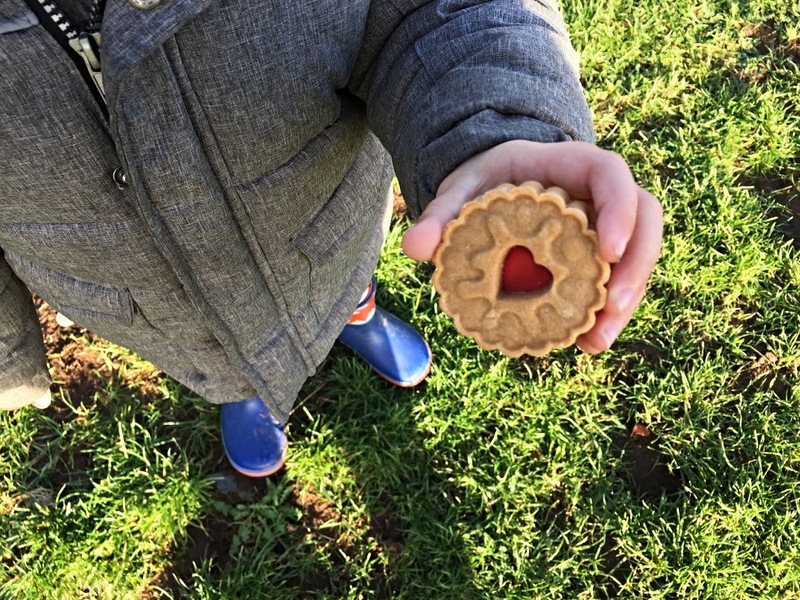 The Dog Treat Company Coconut, Chia & Turmeric biscuits are handbaked in Devon and said to be great for supporting dogs' immunity, aiding growth and encouraging brain and eye development. Turmeric also boasts anti-inflammatory properties. What stood out to me was the packaging, particularly the quirky dog illustration, it's brilliant! I'd be lying if I said Oby didn't have a little bad breath from time to time so the Yup You Stink! 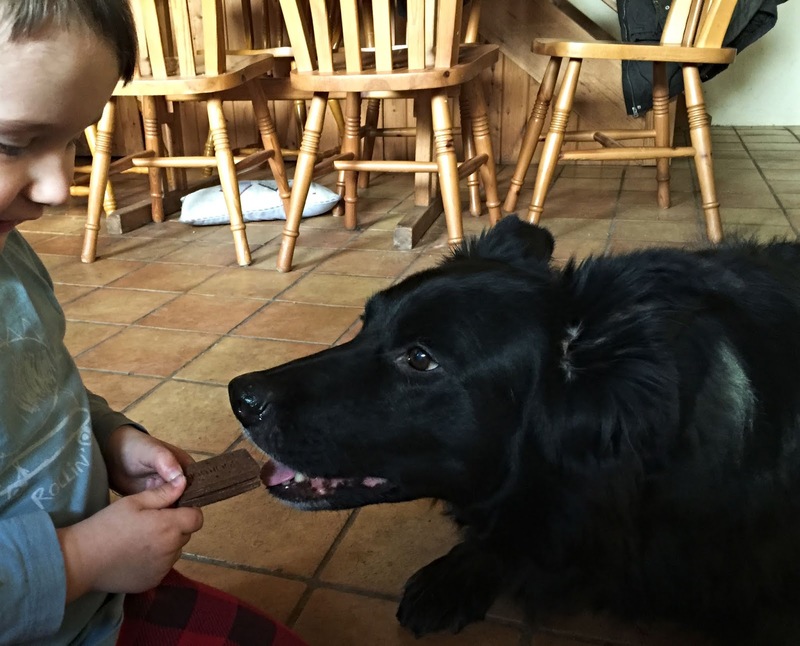 Hemp Wellness Treats from HOWND were essentially a treat for us all. The healthy dog snacks contain dried mint and parsley (both known for their breath freshening properties), as well as organic Hemp, which is rich in healthy fats and minerals and offers a variety of natural health benefits for dogs. 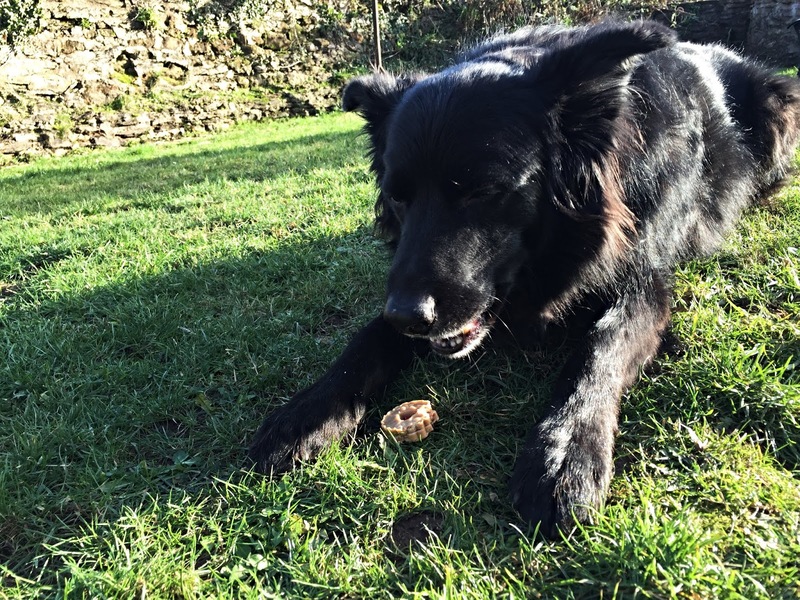 We love seeing him lie down next to his little treat pile, so he can take his time and enjoy them properly. He's a sweet thing. 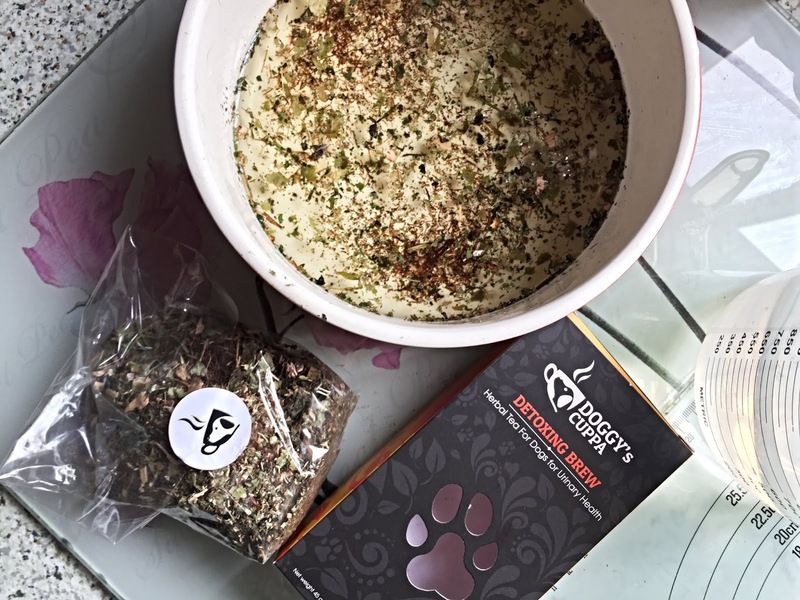 I was really excited to see that The Pawfection Pack Treat Box also featured a Detoxing Brew from Doggy's Cuppa and I took great pleasure in making one for Oby; boiling the kettle, carefully spooning in the herbal tea, letting it steep for five minutes and then adding a splash of cold water. As you can imagine, I was somewhat disappointed when he then turned his nose up at it. Unfortunately, it just wasn't his cup of tea! It's a shame because the Detoxing Brew is meant to be great for stimulating dogs' immune systems and promoting urinary health. I'm going to try sprinkling a little onto his dinner to see if he prefers it that way but if all else fails, it'll be sent off to my partner's parent's dogs, Narla and Tinker, to see if they fancy a cuppa instead! All in all, I think The Pawfection Pack Treat Box was a success and contained some lovely products for Oby to enjoy. If you have money spare to treat your pet, it's a really nice idea and I like that it introduces you to new pet brands and products. 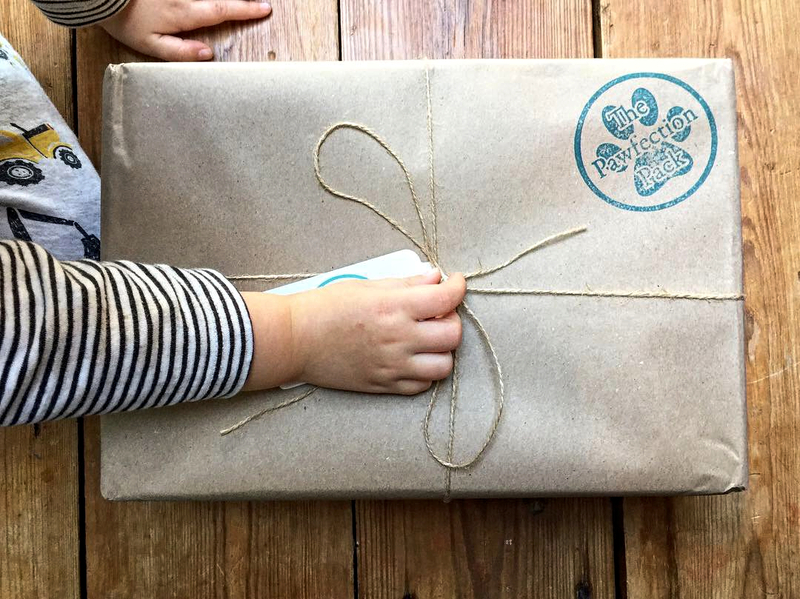 The Treat Box is available monthly (from £10) and the company also offers various other subscription boxes for both dogs and cats on their website. The Pawfection Pack have clearly put a lot of effort into sourcing quality products and taken great care in presenting their boxes. As a new business, I think this helps them stand out to pet owners like myself and I wish them all the success with their venture.